Ideal for engaging your readers, gaining credibility, adding bonuses to offers, using as list-building incentives, blog posts, articles, spinning content, membership content ...plus so much more! You're getting traffic to your blog, you have a small, yet sizeable list, and you want to prove your knowledge in the I.M. industry. You care more about making the sale than taking the long 'proper' route, and if there was a quicker way to get your readers super responsive and hot for your offers and recommendations then you would! 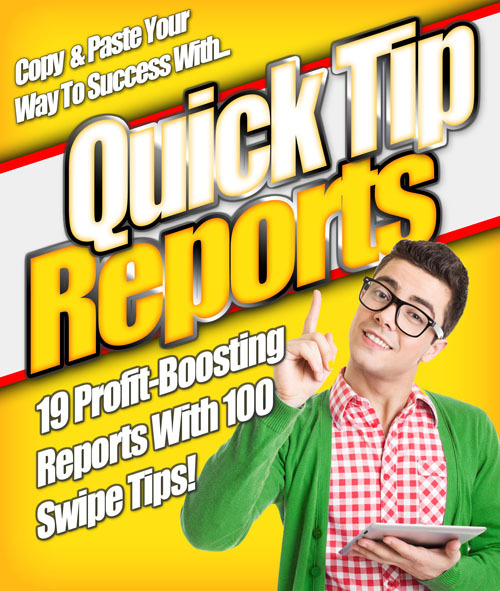 19 Quick Tip Reports Packed With 100 Power Tips! Quick Tip Reports is your secret weapon to provide quality content to your readers INSTANTLY! Whether you want to pre-sell your readers, fill up your membership site, decorate your blog, establish yourself as the expert or just want to maintain a high response with your list, the Quick Tip Reports pack is just what you need! From advertising tips, to product review ideas, to niche product ideas, to product creation ideas, to email marketing, to loyalty programs and more... the Quick Tip Reports has you covered! Engaging your readers couldn't be easier... and all this without having to write a single word! 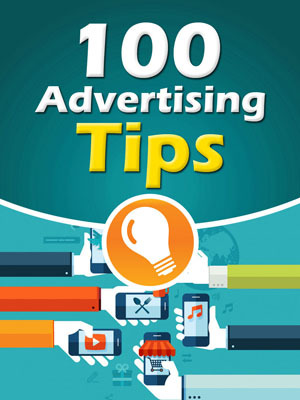 This report will give you 100 advertising tips. It lists you all kinds of different ads you could create, post, purchase and use to market and advertise your business. Plus, each one gives you many different ideas for copywriting and increasing your conversion rates.... 1. All the factors being equal, launching radio ads is a brilliant business feature. Tons of web site owners increase their ad hits using free content... 2. As it stands, trying display ads is a killer advertising formula. A number of stores create their ad traffic using free videos and audios... 3. Others insist that broadcasting telemarketing ads is a captivating promotional idea. 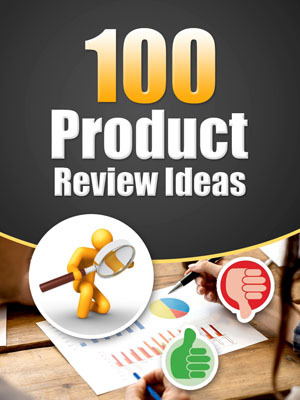 Heaps of services boost their ad ratio using product reviews. 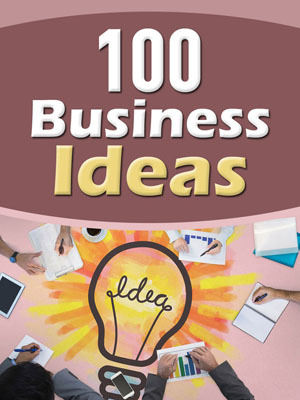 This report will give you 100 business ideas. You'll get ideas for broad business niches, specific business ideas for those niches and location/building ideas for your businesses. It can give you business start up ideas and more businesses ideas to add to your existing income streams. ...1) Start a writing business. It could be for copywriting, article writing, book writing, etc. Your business might be offline. ...2) Open a automotive company. It can be a vehicle manufacturing plant, vehicles dealer, automotive parts store, etc Your business could be in a store. ...3) Run a accounting business. It might be for bookkeeping service, tax service, record keeping service, etc Your business may be in a shop. 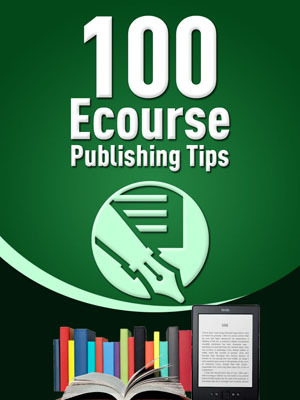 This report will give you 100 ecourse publishing techniques. They will help you successfully publish follow-up autoresponder ecourses that you can use as freebies or paid products. They will will persuade people to subscribe to your opt-in list. Plus it will show you how to increase your traffic, sales and affiliate commissions. ...1) Your ecourse header could be 'Thanks For Opting In To This (subject) eCourse! '. Add affiliate ads in your ecourse. Plus you can state 'Visit these other articles: ' and include your affiliate link. ...2) Your message line may be 'Here Is The 2 Of 5 Part Of Your (subject) Ecourse! '. Insert affiliate sing up offers in your automated content. And you might mention 'View these related audios: ' and publish your coded URL. ...3) Your e-mail header can be 'Here Is The Second Part Of Your (subject) Ecourse! '. Furnish alerts./breaking news in your Internet e-class. Also you could say 'See these comparable authors: ' and provide your reseller link. 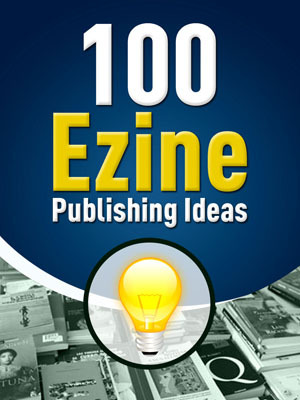 This report will give you 100 ezine publishing blueprints. They can be used for newsletters, e-zines, newspapers and magazines. There are ideas included for subscription publication content, designs, niches, titles and promotion. ...1) Start an animals ezine. You could name it a Digest publication. It might have concept articles. You could publish it once a month. ...2) Publish an automobiles email newsletter. You may title it a Guide publication. It can contain strategy information. You can charge a subscription fee to it. ...3) Create a babies online magazine. You can call it a Shortcuts publication. It may include idea content. You may ask subscribers to take a satisfaction survey. 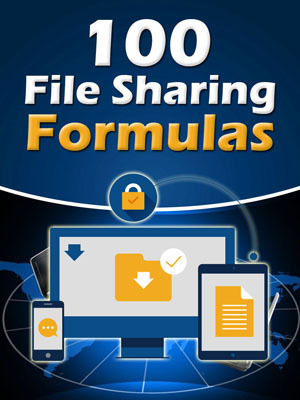 This report will give you 100 file sharing marketing formulas. File sharing is where you share your computer files or digital property with others on the Internet. You get many ideas for different kinds and types of files to share like videos, pictures, text, audio, computer, etc. You can attach your ads to your the files you give-away for free. You could post them on popular file/audio/video/document sharing web sites to increase traffic or allow others to give them away to utilize powerful viral marketing. The ideas are endless. ...1) You can share friend photos and teaching videos. You could attach your product ads to them. Also you can share '.doc Microsoft Word Document ' files and classic rock music. ...2) You might give out family photos and tv show clip videos. You may link your service ads to them. Plus you might give out '.3dm Rhino 3D Model ' files and native American music. ...3) You could release work photos and movie clip videos. You can connect your ezine ads to them. And you could release '.3g2 3GPP2 Multimedia ' files and foreign music. 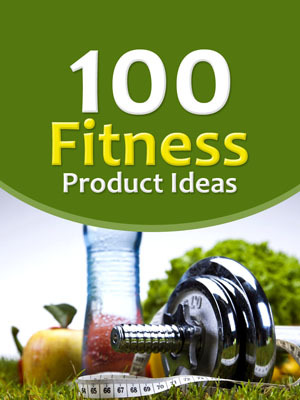 This report will give you 100 fitness product selling concepts. It includes ideas for different types of fitness, exercise, workout and nutritional products to sell and gives you persuasive copywriting words and phrases that sell. ...1) You could sell AB crunches and jackknife sit-up books. Describe your exercise products with words like 'easy exercises '. ...2) You might make ab twists and jogging equipment. Illustrate your diet items with phrases as 'get in shape '. ...3) You can market ad benches and jump rope tools. Define your fitness merchandise with sayings like 'work out '. 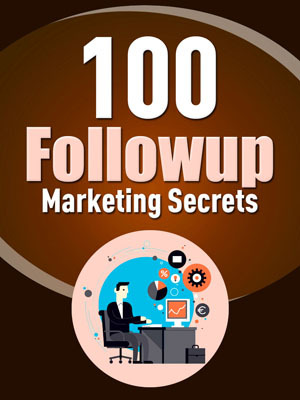 This report will give you 100 follow up marketing secrets. You'll learn creative ways to follow up with your prospects and discover some follow up copywriting secrets. Plus you'll have prewritten phrases you can use to influence people to visit, subscribe, join or buy after you follow-up with them. ...1) You can follow up with an update. Add a 'Buy now!' call to action to your email. Your ending P.S. can state 'Don't forget about the upsell too! '. ...2) You might follow up with a reminder. Include a 'Visit today!' command to your ad. Your closing postscript might communicate 'Don't ignore the OTO either! '. ...3) You could follow up with a lower price. Link a 'Grab it!' phrase to your letter. Your concluding P.S. could say 'Become a member! '. 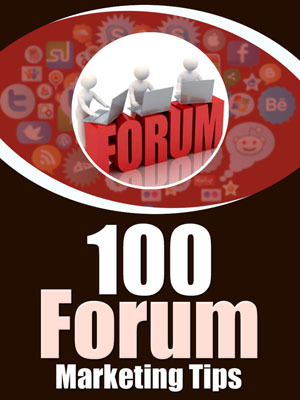 This report will give you 100 forum marketing tips. There are tips underneath for questions you can ask in forums and all the kinds of information you can gain from them. And you can increase your traffic and sales by including your signature file and web site links below your forum posts. A single forum question post can increase your income, subscribers, customers, visitors, affiliates, backlinks, etc. ...1) You could ask 'search engine optimization' questions. For example, it might be for getting objectives. Your question may be for accelerating your subscribers. ...2) You might ask 'affiliate program' questions. To illustrate, it can be for acquiring opinions. The question could be for adding more ezine readers. ...3) You can ask 'business start up' questions. For instance, it may be for gathering ideas. A question might be for acquiring numerous social friends. 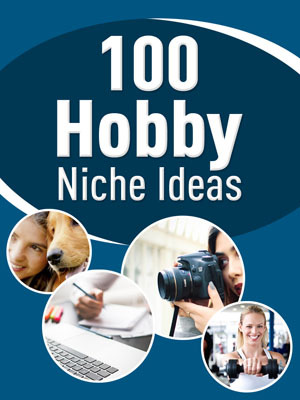 This report will give you 100 hobby selling niches. You'll find loads of hobby niches to profit from. And you'll have tons of different selling words to use in your marketing materials and sales letters. ...1) You could sell aircraft spotting, celebrity photography, frisbee throwing, live event attending and/or pyrotechnics stuff. Also you might state the hobby is fun. ...2) You might make acting, cemetery walking, fruit gardening, live shows and/or yoga things. Plus you can advertise the activity is exciting. ...3) You can market aerobics, ceramics, gambling, long drives and/or quilting products. And you should say the pastime is relaxing. 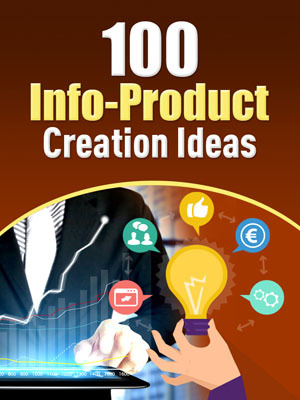 This report will give you 100 info product creation ideas. There are ideas included for information products to sell for profits, to use as a bonus for a buying incentive and to give away for free, viral traffic. Plus you'll get all kinds of profitable niche and content ideas. ...1) You can write an ebook. For example, it could be about the topic of animals. A final point is you can add chapters and objectives to the product. ...2) You should compose a print report. To illustrate, it might be related to automobiles. To close, you might add advertorials and master resell rights to the product. ...3) You could make an ezine. A prime example, it can be referring to babies. A last point is you may add advice and a membership to the product. 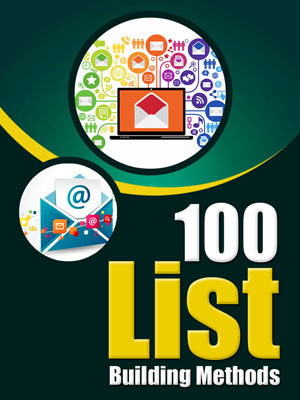 This report will give you 100 list building methods. It contains ideas for freebies and copywriting strategies that will persuade people to subscribe to your opt-list or e-mail newsletter. Building a huge opt-in list can give you income anytime you want by just pushing the send button. ...1. One can conclude you can endorse a free sample. This will add additional list customers. You could persuade prospects to opt-in after showing off your freebie product cover/graphic. ...2. It is my belief, you should release free brandable rights. This will create extra opt-in fans. You may influence prospects to join by bringing up the professional writer you hired to create the product. ...3. I happen to believe you could publicize a free membership. It might construct you some new subscriber traffic. You could bribe visitors to reserve their sport by broadcasting you are offering an affiliate contest. 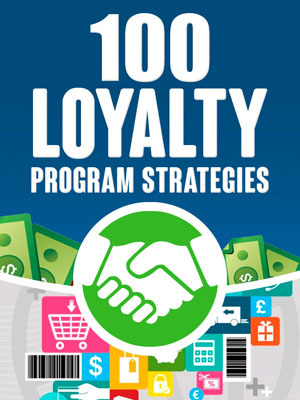 This report will give you 100 customer loyalty strategies. It contains a ton of ways to reward your visitors, subscribers and customers for improving for business. You could reward them for visiting your web site, subscribing to your ezine, downloading your free software, etc. You can award them with redeemable loyalty points, discount offers, coupons, gift certificates, etc. It will increase your profits by persuading people to buy your products with their loyalty discounts. ...1) Reward prospects with loyalty points. It could be for people watching your video. It can allure them to buy your ebook. ...2) Give leads discount credits. It might be for prospects volunteering their expertise/service. It may alter them to purchase your print report. ...3) Provide visitors with savings dollars. It can be for leads visiting your blog. It might appeal them to order your ezine. 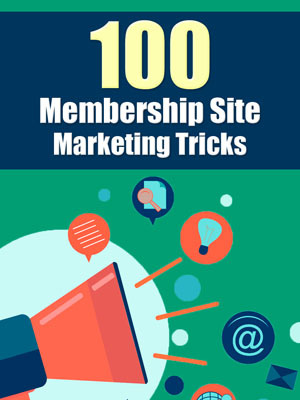 This report will give you 100 membership marketing tricks. You'll get profitable and targeted membership niches, paid web site marketing ideas and all the benefits membership web sites can offer you and your business. ...1) You could create a weather private web site. Offer a free trial to your membership web site. A private web site will give you residual subscribers. ...2) You might market a war/military membership web site. Allow members to add content to your continuity web site. A membership web site should give you continuing readers. ...3) You can make a video games continuity web site. Make affiliate bonuses from your private web site. A continuity web site would give you lifetime friends. excited or sensible? Can it win or abandon your beliefs? Did you like the color? ...2) Add your explanation of the product. Does it help you attract men/woman? Will it make you surprised or credible? Can it upgrade or abolish your habits? Did you like the size? ...3) Advertise your recommendations of the product. Does it help you be an expert? Will it make you enthusiastic or your motivated? Can it create or abort your actions? Did you like the shape? 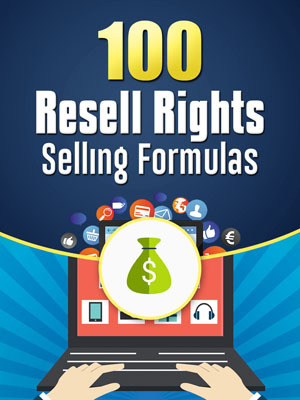 This report will give you 100 resell rights selling formulas. Selling resell, master resell, private label and other rights can increase your sales because it gives people and businesses more reasons to buy and a chance to make their money back. Plus you'll learn the exact reasons why certain product rights trigger people to purchase them. ...1) Market resell rights with your resell product. It will persuade people to buy it because they can keep one-hundred percent of the sales and profits. ...2) Sell product bonus rights with your resell product. It might captivate prospects to purchase it because they will have instant bonuses to help sell the product. ...3) Promote language rights with your resell product. It could entice visitors to order it because they can sell your product to anyone in any language. 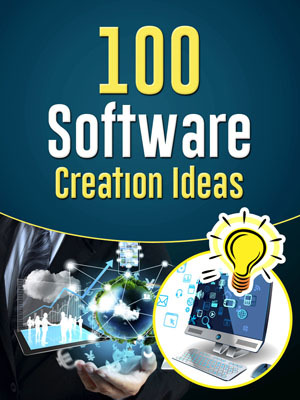 This report will give you 100 software creation ideas. You'll get tons of ideas for computer software, mobile/social networking apps, web site scripts and blog plug ins. You can use these ideas to create new ones to sell or to buy or use in your current business. These types of software can increase your profits, expand product line, increase your free time, lower your expenses, accelerate your traffic, etc. ...1) You could create and/or use spreadsheets software, dental/vision applications and/or contact form blog/web site plug ins/scripts. They can improve your sales. ...2) You might make and/or operate presentation software, diet/nutrition applications and/or se optimization blog/web site plug ins/scripts. They may better your assets. ...3) You can generate and/or apply game software, education/college applications and/or site map blog/web site plug ins/scripts. They might shape up your productivity. 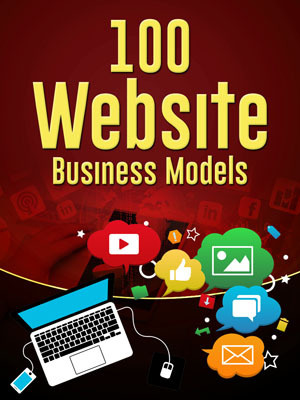 This report will give you 100 website business models. You get ideas for lots of different types of websites and/or businesses to start. Plus you will learn what qualities and features to look for in web hosting companies that will host your websites or blogs. The more websites you have, the more streams of income you will have. ...1) You could start a search engine website. You want to pick a website hosting company that is affordable. It will save you money. ...2) You might run a web directory website. You need to select a website hosting business that is reliable. They will always be there for you. ...3) You can publish a forum website. You want to choose a website hosting service that is secure. It will protect your information. 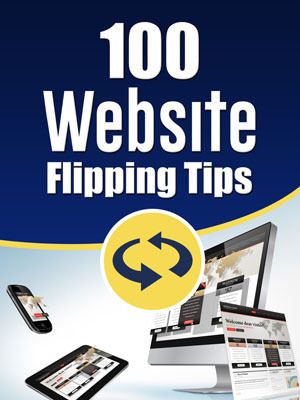 This report will give you 100 website/business selling/flipping methods. It will give you all kinds of selling points to use that will gain a huge profit from flipping your web site or selling your offline business. ...1) You could talk about the benefits of your web site's domain name. Or you may list the benefits of your offline business's building type. ...2) You might publish the features of your online business's back links. Or you can publish the features of your offline company's location. ...3) You should comment on the advantages of your web blog's articles or content. Or you might comment on the advantages of your offline service's vehicles. 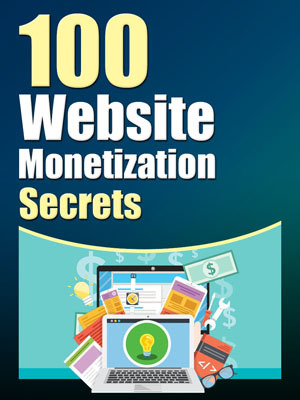 This report will give you 100 website/blog monetization secrets. You'll learn all kinds of secrets for making money with your web site or blog. You can add as many of these income streams as you can handle. Plus you'll get monetization ideas for profiting from the skills you learn while running your online business. ...1) You could sell resell rights products. You could also promote your online services like being a affiliate program manager. ...2) You might trade advertising space. You might also sell your business talents for example being a virtual secretary. ...3) You can promote private label products. You can also market your web attributes related to being a computer programmer. Your Quick Tips Reports Are Literally Screaming To Set You Up For Profit! Keep your readers happy! Hand out a report to your readers once per week and automatically deliver content for the next 4 months! Pick a day of the week like Friday and call it 'freebie Friday', or Sunday and call it 'Surprise Sunday' and hand out your report. Your readers get 100 useful marketing tips for free! Your readers will love you for it! Add more value to your existing offer! Just bundle a package of these products together to add more value to your existing offers. By offering more bang for the buck you may just tip those sales conversions in your favour without having to work any harder! Add more content to your paid or free membership! Lacking quality content and want your members to stay with you for the long haul? Then drip feed these reports into your membership, and offer them as downloaded content. Alternatively you could copy the content from the reports and paste them into premium pages of your membership. Motivate your affiliates! Don't just send your affiliates a link and hope for the best! Instead make it easy for your partners by giving them content that they can give away for free to promote your product or service. You'll increase your profits instantly and see a surge of sales come in long term! Add more posts to your blog! Pick your subject, create a catchy title, and copy and paste in the tips into your blog post! Add a picture from iStockPhoto, or a cartoon image from iClipArt, add a closing paragraph and you'll have a unique post for your readers. Ask readers to leave comments and add their own tips and you'll have a little discussion going! Great for free SEO traffic! Monetize your blog with AdSense and/or Amazon offers. Apply the knowledge to improve your business. Pick a topic you're interested in, read through the content yourself and apply any one of the hundreds of ideas readily available to you! With a little imagination and determination, you can turn these info-packed reports into traffic, lead and sale generators! You're only limited by your imagination! Act Now And Also Receive An Entire Duplicate Of This Site For Fast Cash! Act now and you'll also receive your very own sales page similar to what you're seeing now so you can re-sell this entire package to other marketers as many times as you want! No need to write a new salesletter, no need to design graphics, no need to write promotion emails. Just add your own name, slap on your payment button, upload and sell! However there is one catch. This super bonus will not be around forever and can be taken down at any time. If you want to get the best deal, have your very own business and maximize your profit then be sure to secure this bonus now! So act now! Don't Delay! Get this value content into the hands of your readers BEFORE your competitor does and have people buying YOUR products and recommendations because you made the effort to act NOW rather than later! Remember these quick tip reports are priced at the lowest price you'll ever see. Just think how much time you'll save writing everything yourself, how much money you'll save from ghostwriters, and how many more sales you'll make as a direct result of using this content! Remember, people love buying from people they know, like and trust. You can become that person MUCH faster with just the right content in your hands! Yes! Give Me Instant Access To Quick Tip Reports! YES Charles! Give me instant access to Quick Tip Reports! I want to copy and paste my way to success and use this content to generate traffic and cash! We make every effort to ensure that we accurately represent these products and services and their potential for income. Earning and Income statements made by our company and its customers are estimates of what we think you can possibly earn. There is no guarantee that you will make these levels of income and you accept the risk that the earnings and income statements differ by individual. As with any business, your results may vary, and will be based on your individual capacity, business experience, expertise, and level of desire. There are no guarantees concerning the level of success you may experience. The testimonials and examples used are exceptional results, which do not apply to the average purchaser, and are not intended to represent or guarantee that anyone will achieve the same or similar results. Each individual's success depends on his or her background, dedication, desire and motivation. There is no assurance that examples of past earnings can be duplicated in the future. We cannot guarantee your future results and/or success nor is this a guarantee of ways to make money online. There are some unknown risks in business and on the internet that we cannot foresee which can reduce results. We are not responsible for your actions. The use of our information, products and services should be based on your own due diligence and you agree that our company is not liable for any success or failure of your business that is directly or indirectly related to the purchase and use of our information, products and services. ClickBank is a registered trademark of Keynetics Inc., a Delaware corporation. Quick Tip Reports is not affiliated with Keynetics Inc. in any way, nor does Keynetics Inc. sponsor or approve any Quick Tip Reports product. Keynetics Inc. expresses no opinion as to the correctness of any of the statements made by Quick Tip Reports in the materials on this Web page. 2019 Quick Tip Reports. All Rights Reserved.